CLEVELAND (January 9, 2017) – LEGO’s iconic, multi-colored bricks have been capturing the imaginations of kids of all ages for decades. On Saturday, February 4, Great Lakes Science Center will bring the love of LEGOs to life-sized proportions for its newest exhibition – Build It! Engineering fun, one brick at a time – presented by ArcelorMittal. 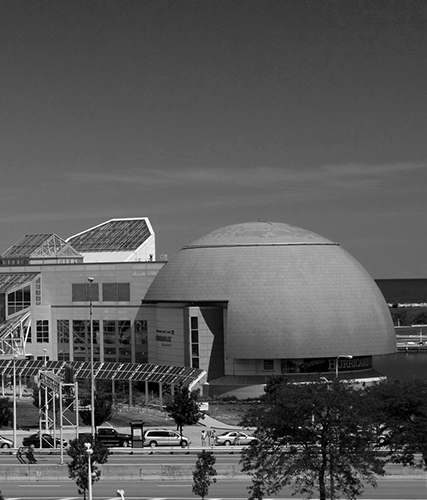 “Curiosity and creativity are at the heart of what we do here at the Science Center. We have taken that to the next level in Build It!, using LEGO to create exciting ways for guests to play with design, materials and engineering,” said Science Center CEO Dr. Kirsten Ellenbogen. Build It! will be presented in three distinctly different hands-on phases so guests can build their own unique experience each time they visit. Most of Build It! was developed, designed and fabricated by Science Center staff working with an inspiring team of LEGO artists including Adam Ward, Michael Hickox and Arthur Gugick. The first phase, “Play It!,” runs through May 14 and is anchored by Castle Builder, 2,500 square feet of exhibits from the Indianapolis Children’s Museum, featuring LEGO materials for builders of every age. Activities include constructing and testing a virtual catapult, designing castles and courtyards, sliding down a lookout tower, and exploring secret passageways in a giant castle. Play It! also includes exhibits created by the Science Center, such as building and racing cars, brick puzzle mazes and mosaics, building challenges and make-your-own stop-motion animation station. Phase two is “Explore It!” – a 10-day brick festival running from May 27 through June 4 full of activities and surprises for the entire family. 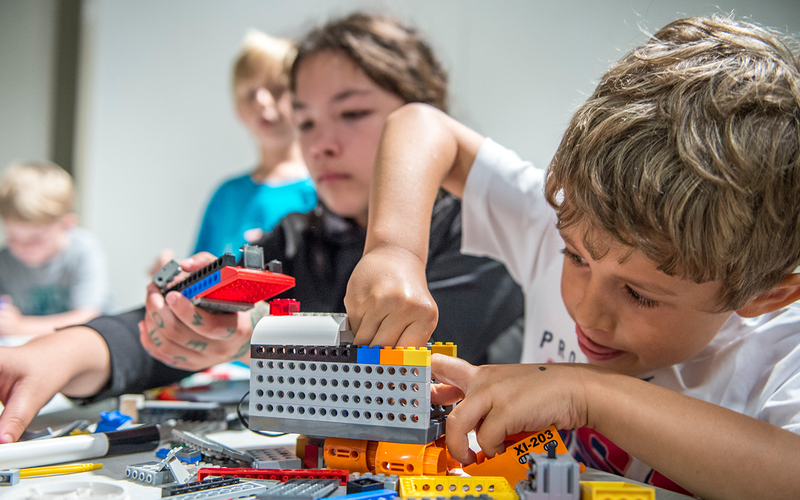 Artists, builders and educators will lead workshops and activities where guests can try out LEGO in a whole new way, or learn an advanced design-and-build skill. Guests can participate in contests and games or marvel at spectacular sculptures curated from some of the best LEGO artists in the country. “Move It!” is the theme of phase three, from June 17 through September 4, with a distinctly different take on the usual LEGO build. From simple machines to robotics, these exhibits will take LEGO into the exciting realm of motion. Guests will be wowed by what they can achieve with their LEGO creations. Throughout the seven month run of Build It! 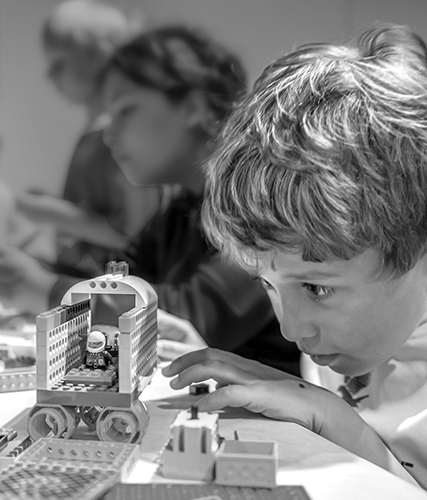 the Science Center will tap into the playful and creative spirit that is inherent in every builder who ever opened up a LEGO kit and saw the potential to make something their own. Engineering fun, one brick at a time.